Finally, a way to designate your 1LE Camaro. 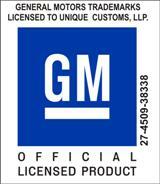 Our emblems replicate the factory font-style and these are GM Licensed Products. These emblems are laser-cut and have pre-applied 3M double-sided automotive tape on the back side. The way we have been instructed by GM to list these for sale to the public is a little different than other products. Rather than tell you a placement on the vehicle and sell you pieces based on a specific location, ie hood, trunk lid, etc, we have been instructed to sell these based upon a generic listing for general placement. 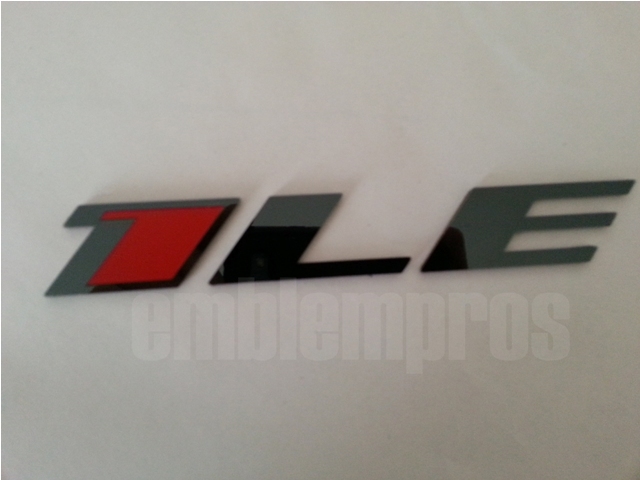 So, in order to comply with GM's standards, we are selling these emblems in 3 different sizes and you can simply measure the area of the car you wish to place your emblem/emblems, and purchase the pieces that fit. We have sized these to fit the most popular areas of the vehicle. You will be able to make 2 color/material selections. The primary color/material is the overall color/material of the emblem. The fill color/material is the color/material of the center section of the "1". *Note: Do not change the quantity number from the quantity field - leave it at "1". The drop down fields will prompt you for your quantities and bill you accordingly. If you would like several different color combo emblems, finish what you want, add it to your cart, and then start your next order and add it the cart. Once you complete final checkout, we will receive all of your info.